Where does the Kaf HaHayyim first cite the Aruch HaShulchan and the Mishnah Berurah? The Kaf HaHayyim was written roughly contemporaneously with the Aruch HaShulchan and the Mishnah Berurah, but is the last of the three seforim to be finished, with its final chapters completed by the young Rabbi Ovadia Yosef after the death of the author in 1939. The Kaf HaHayyim saw both of these seforim and quotes them both. Citations to the Mishnah Berurah can be easily found in Hilchot Purim, and citations to the Aruch HaShulchan can be found in Yoreh Deah 74, 75, and 76 (at least), but there are interesting opinions brought in the Aruch HaShulchan that would seem appropriate to cite in Yoreh Deah 69 and 70, yet Kaf HaHayyim does not cite them. I haven't learned the Kaf HaHayyim from cover to cover yet, but maybe someone who has can answer this: where in Kaf HaHayyim does he first cite each of these works? The Kaf HaHayyim cites ער’’ה often, but I think always refers to the Erech HaShulchan (ערך השלחן), by the Tunisian posek R’ Yitzhak Taieb, as that's the only work given for that acronym in the luach rahsei teviot. The work by Rabbi Yechiel Michel Epstein (ערוך השלחן) that I'm asking about in this question appears to always be cited by full name. The Aruch HaShulchan wasn't all published at one time and some of it was published posthumously by his daughter. There is an article here about the printing of the Aruch HaShulchan. It's very likely that the Kaf HaHayyim didn't have access to those volumes since they weren't published yet. Not the answer you're looking for? 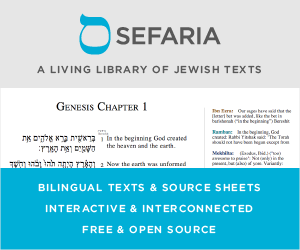 Browse other questions tagged history jewish-books sephardi-mizrachi-eastern acharonim . When was the Shulchan Aruch HaArizal first published? Why is the Aruch Hashulchan on Even Haezer incomplete? Can one follow the Mishnah Berurah without asking a shaila? What sefer has rashei teivot הל''פ? Where does the contemporary measurement of a Kezayit come from? Where does the Tiferes Yisroel discuss Edward Jenner and smallpox? Was the Aruch Hashulchan Sephardic?